In stock, very limited quantities! 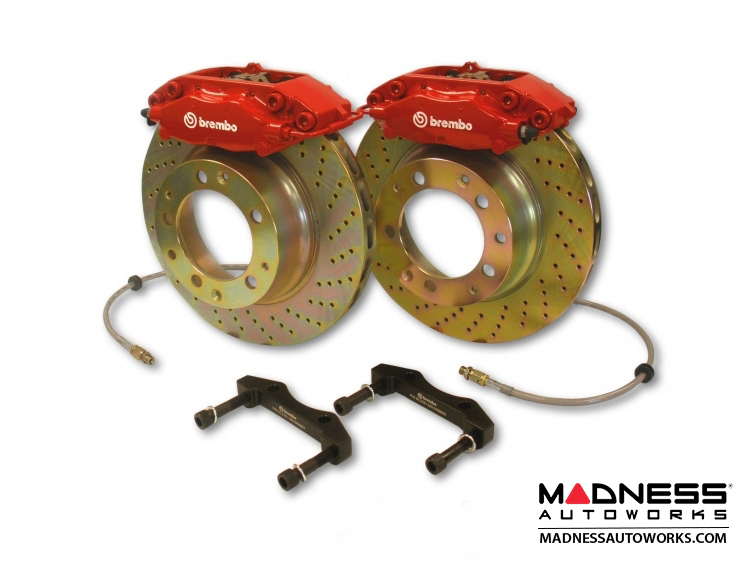 Get improved stopping power with this Brembo Gran Turismo Brake Kit for the FIAT 500! Please note! 17" Wheels are required to fit this Brake Kit. Picture used is for reference. The actual FIAT 500 Brembo Kit Picture and product will vary. 2011 was a major milestone for Brembo, as the company celebrated 50 years of business studded with extraordinary technological, sporting and commercial successes. On January 11 1961, Emilio Bombassei and Italo Breda founded Officine Meccaniche di Sombreno, the original progenitor of today's Brembo. Already with them was the current group president Alberto Bombassei, who was just twenty years old at the time. This was the beginning of a half century long adventure that has led Brembo to become the undisputed leader in the braking system market. Brembo started to produce brake discs for cars in 1964 and brake systems for motorcycles in 1972, while in 1975 the company ventured into Formula 1, supplying its own braking systems for Ferrari GP cars. During this half century, through technological innovation and continuous research into materials and manufacturing processes, Brembo has become one of the world's most prestigious brands. In 1995, Brembo was listed on the Milan Stock Exchange and inaugurated a strategy for growth and, which over time would lead the Company to having production facilities throughout the world, continued revenue growth and a steadily increasing number of employees.